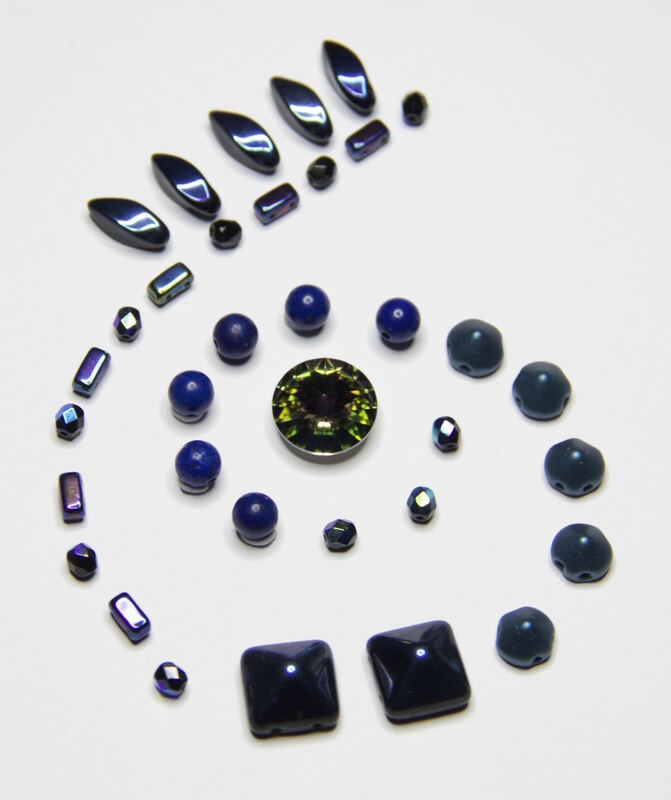 Our 2016 Bead Challenge focused on blues, navy, purples and a stunning crystal Rivoli. Using the same beads throughout, and adding any complementary beads, our artists created a grand array of beautiful designs. See below for the winning entries. International Tutor, Nancy Cain was our guest judge for this challenge.